Panda General Machinery (Group) Co., Ltd is a subsidiary of Panda Group, established in 1993, now registered with 80 million RMB. It specialized in various washing machines, and has its dominating poison in domestic market. Since 2003, the international department has exported products to Europe、South America、Asia and so on, within a yearly turnover of up to 100 million RMB. Our company is located near No. 104 national highway, 300 meters from Wenzhou Dong’ou Bridge, which is a quite convenient location. Our workplace covers 15000 square meters with the construction area of 25000 square meters, valued at an estimation of over 50 million RMB. In addition, we have 600 employees that involved 20% technical staff, together with good quality production equipments and integrated inspection equipments, which includes a machine centre, dozens of digital control tool machines, and several products assembling lines. 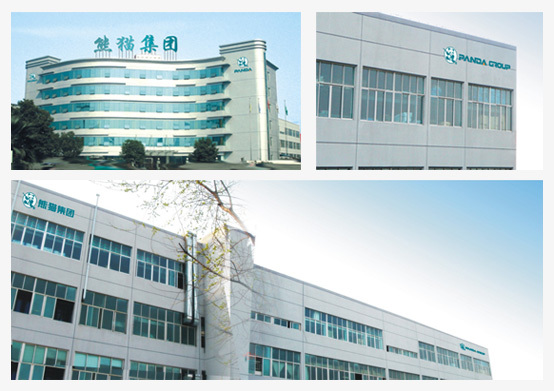 Noticeably, our company has obtained GS, CE, and ISO9001-2000 patented technology certificates for years. Panda people always uphold our concept of “sincerity, innovation and continuous exploring”. We run business on the basis of effectiveness and outstanding. More importantly, we are desired to cooperate with both domestic and foreign partners to build a brighter future together. “The future will be brighter” is the company’s slogan as well as a greeting to our friends.